Yoga props are frequently underrated. Many yogis feel like propping themselves up with blocks or using a strap to reach their foot makes them less of a yogi. However, celebrity yoga teachers, and other experienced yoga teachers, are more than happy to use straps for backbends and blocks for standing poses! You might be c﻿onsidering using straps and blocks, but what about blankets? If you regularly go to a yoga studio, you’ve probably seen piles of colorful Mexican blankets stacked in cubbies or against the back wall. You will be surprised just how versatile a Mexican blanket can be! 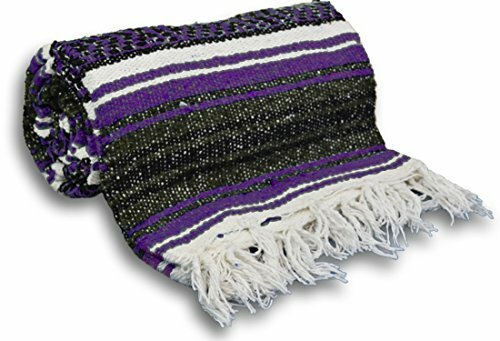 There are a few different weaves of Mexican blankets, but the weave that is best for you ultimately depends on what you’re using the blanket for. We’ll get to those details later! The “standard” is the most common type found in yoga-related stores. A serape is brightly colored and fringed at the ends. Also, some variations of these blankets have hoods and openings for the head, similar to a poncho. Traditional Mexican blankets are woven by hand with natural fibers, such as cotton and wool. 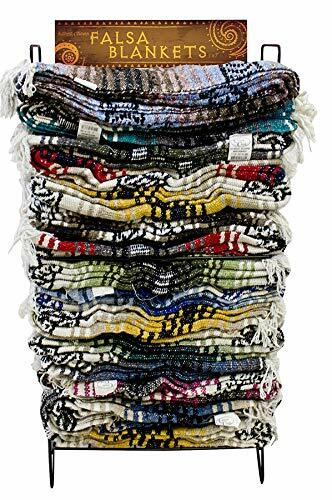 Traditional blankets are much harder to find, and if you come across one that is hand woven, it won’t be cheap. Mass machine production has increased the use of synthetic fibers, such as polyester and acrilon. Wool blankets can’t be machine washed, so if you’re buying them for yoga students to use, you’ll want to search for all-cotton or synthetic fibers for ease of care. If you’re buying a blanket to use at home or for personal use, wool gets softer with every use, and it offers a cushier feel than other alternatives. It might seem silly to buy a blanket for the sole purpose of using it during yoga, but they're incredibly handy, especially if you have a thing for yin and restorative yoga. Roll a thick blanket up and you’ve got yourself a marvelous assistant, which will make certain poses more comfortable and rewarding. Child’s pose: Roll your blanket up to your desired thickness, using a tight roll for firm support and a loose roll for more aid, then place the blanket behind your knees. This type of support reduces how deeply your knees are bending, making child’s pose more accessible if you have experienced a knee injury. Single pigeon: While it’s a great hip opening pose, pigeon is stressful on your knees if your hips are tight, or if you’re a new student. When your hips and hamstrings are tight, the hip on your bent knee is going to be several inches off of the ground, facilitating knee pain in some yogis. To keep this from happening, fold or roll your Mexican blanket to the desired thickness, then wedge it under your hip so you can fully melt into your pose. Maybe you’re old fashioned or you can’t bring yourself to drop $60+ on a yoga bolster. Buy a few budget-friendly Mexican blankets and you’ve got yourself a customizable yoga bolster! Seated forward folds: If you aren’t the biggest fan of a seated fold, make the pose cozy with your blanket! Roll or fold as many blankets as you want, then stack them as sky high as necessary on your thighs. Legs up the wall pose: This is the tired person’s inversion, meaning if your legs are above your head, it’s an inversion! Get some extra inverting by putting a folded or rolled blanket under your hips, which gets your legs higher without requiring an extra effort. You can also place a blanket or two under your head if you’re feeling particularly drained. If you’re unsure of where to look, let our guide help you get started! These blankets come in an assortment of bright colors and patterns, and they’re extra soft so you can use them for more than yoga! They’re woven with a cotton blend for cushioning, softness, and ease of care. These Mexican blankets are 100% machine washable. YogaAccessories blankets are pretty sizeable at 74” by 52”. The weave is loose, which means you won’t be able to use them as a yoga rug if you’re an Ashtanga yogi. These blankets are fairly thin, so if you need a lot of support, you’ll want to order more than one. These traditional Falsa blankets are perfect for your yoga practice or just for cuddling up with on the couch. Bright and attractive colors make this great for your yoga practice, or for draping over the back of your couch. 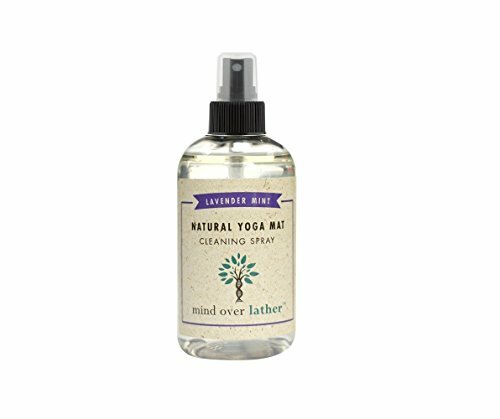 The blanket softens with each wash, providing the perfect softness for restorative yoga poses. Falsa blankets are very affordable, which is a plus if you need to purchase a stack for your yoga studio. The thin weave leads to thread shifting over time, especially if you machine wash it frequently. You don’t get to choose your color, so if you’re picky on colors, this might not be the best choice for you. If you want truly authentic yoga blankets, these are about as authentic as you can get! 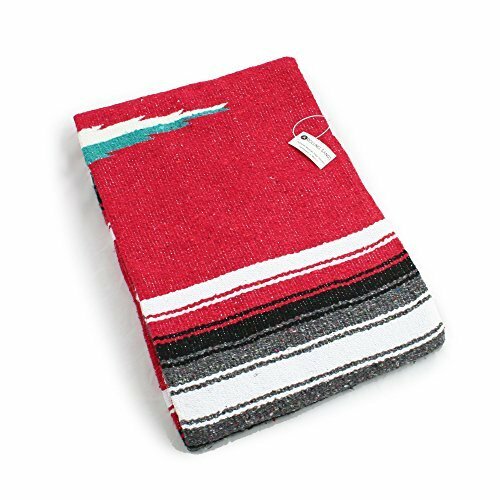 Diamond Yoga blankets handwoven in Mexico and made with a cotton blend. These beauties measure 82" long x 52" wide and weigh a hefty three pounds. You won’t lack for thickness with these! You can choose a variety of unique colors including bright blues, pretty pinks, and sassy oranges. The colors vary in real life, but this is usually due to the extravagant handweaving process. There are various imperfections found in most blankets, but this is typical for handcrafted goods. These blankets come in traditional colors. They’re also extra thick for durability and comfort during your practice! El Paso Designs are handwoven with acrylic, making them extremely tough no matter how much you use them. Blankets measure 57 inches x 74 inches, so when they’re folded or rolled, you plenty of cushioning. The colors are extremely vibrant and attractive! If your influenced by color during your practice, you need of these blankets to add to your prop collection. The number of supported devices to stream your classes makes Grokker a true to-go platform for your fitness needs. 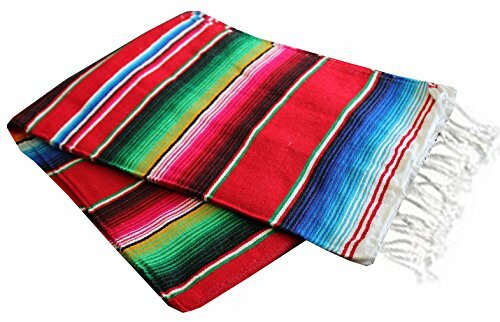 These Mexican blankets are not machine washable, so don’t purchase them for your studio unless you want a big dry cleaning bill! 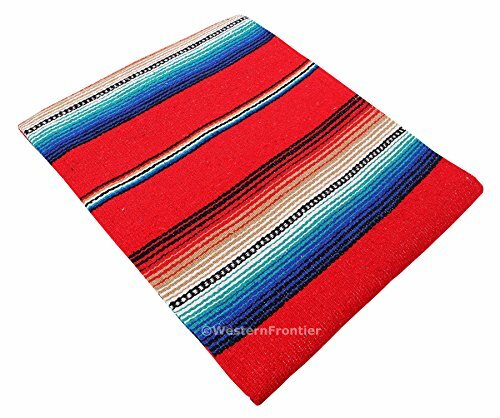 If you like the colorful stripes of the traditional Serape blankets, you’ll fall in love with these! The traditional handweaving process complements the colors, and the soft cotton/acrylic blend is ideal for cozy restorative yoga poses. Blanket dimensions are 62"x82", ensuring plenty of support in seated poses. 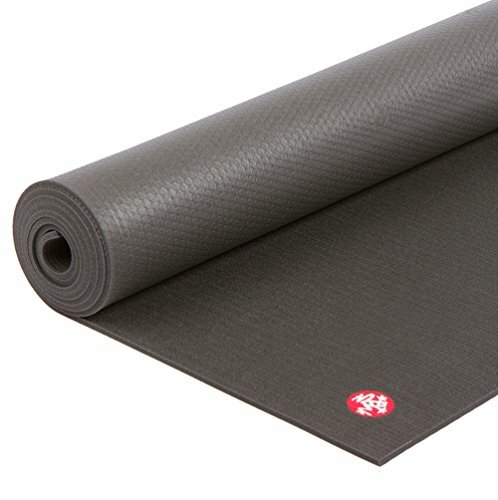 The acrylic in the fiber blend doesn’t make this the thickest blanket out there, but it’s good for rolling up for certain yoga poses. Best Yoga Poses for Beginners: Beginner-Friendly Yoga Flows You’ll Love to Do Anywhere and Everywhere!